Jean Darnell: Awaken Librarian! : What Your Body Language Reveals about Your Character! What Your Body Language Reveals about Your Character! So this year, I want to begin a behavioral series with the catchphrase "Find Your Character in a Book!" I got this grand idea from working with my former librarian, THE AMAZING AND TALENT DR. ROGER LESLIE on his textbook about character development titled, Teaching S.U.C.C.E.S.S. 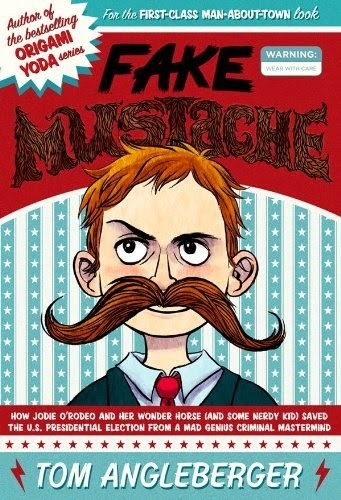 and Strong Character with Children’s Award-winning Chapter Books (Bayou Publishing). I was a contributing researcher, who analyzed popular children's books looking for characteristics like self-awareness, undeterred, creativity, courage, egalitarian and sanguine (i.e. S.U.C.C.E.S.S)! And on a side-note, he's the best mentor I could ever have as a librarian, friend and life-coach! He's the real deal! So many youth are thirsty for everyday role-models and how to build their own admirable character. I plan to hold class-wide study sessions on different characters from popular books and movies. I hope to use some of the skills learned from the research experience and combo them into my own character development mini-series. As I create hand-outs and visuals, I will post them! So check back! I figured our visual gimmick would be the "mustache!" 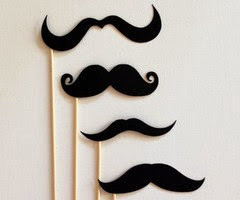 I don't know...there's something distinguished and quirky about mustaches that I LOVE! The picture is courtesy of this thumbnail! Find some more ideas on Etsy! And, since you convey what you're thinking through body language, I thought this article would be a great discussion starter: "The Secrets of Body Language". 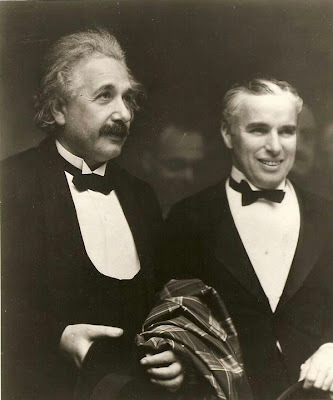 This could even lead to us analyzing silent films and having a "Charlie Chaplin" look-alike contest! What are your thoughts? Leave me some comments below! I wish all of you a WONDERFUL fall and for those teachers/librarians following, WELCOME BACK TO A NEW SCHOOL YEAR! 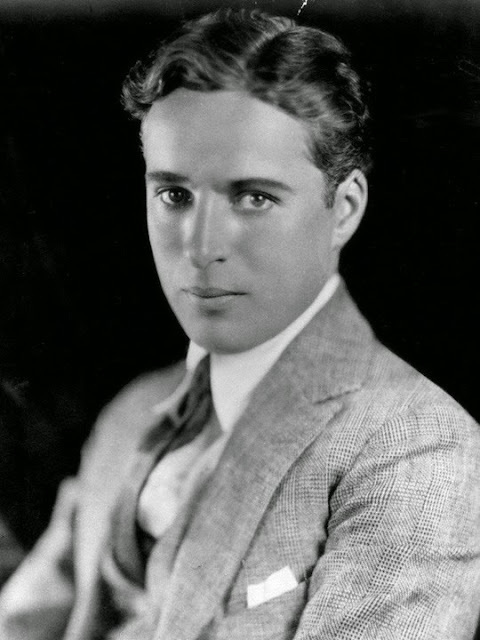 Here's one more picture of Charlie Chaplin without the mustache...STILL SO DREAMY AND HOT!!!! Charlie Chaplin and Albert Einstein...two of the greatest minds of the early 20th century!